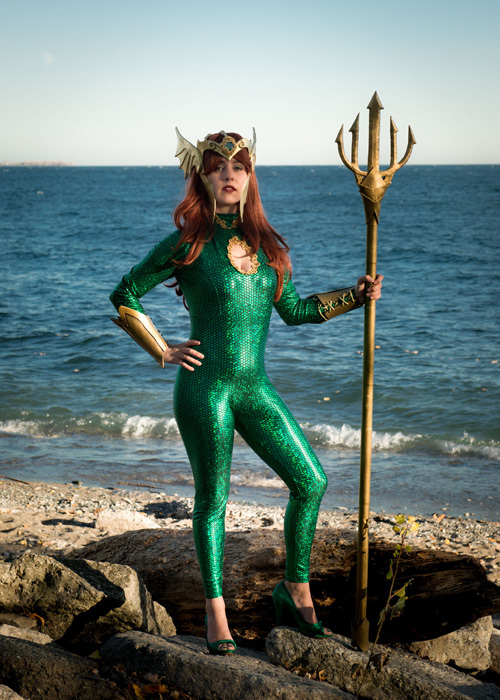 "Having done my own version of Mera in the summer, I knew it wouldn't be long until I had to do a more comic accurate version of her. 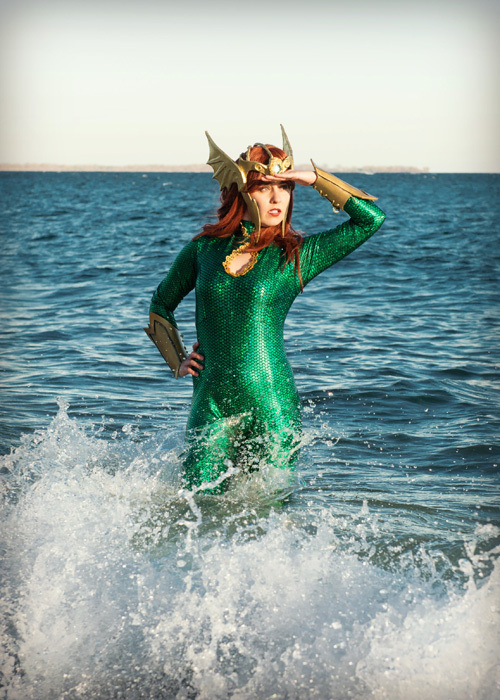 So when Costumes by Violet put up her version of Mera for sale I jumped at the chance. 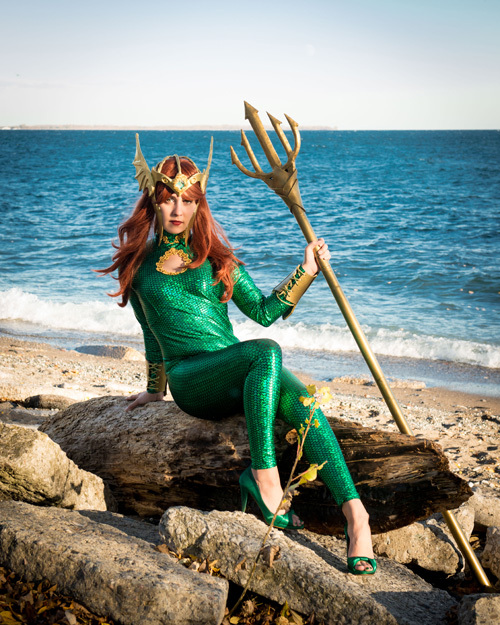 She made the body suit and crown, while the bracers and trident were re-used from my summer shoot. Despite the glowing sun and seeming warmness of this particular photo set I think it is fun to note that we did this shoot on November 10th 2016 in Lake Ontario where the water was about 10�C as was the air. Probably not my smartest idea as I did end up getting sick afterwards, but one simply does not shoot Mera in a field. 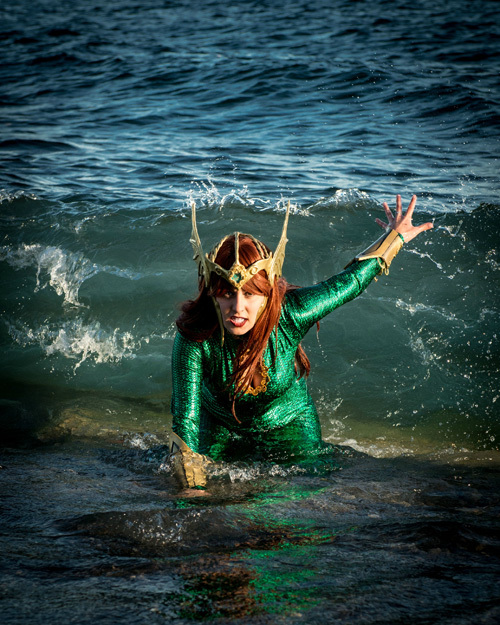 I can't really�be Queen of Atlantis on land! Big thanks as always to Bermingham Photography for helping me shoot this so quickly so I didn't have to wait another six months! 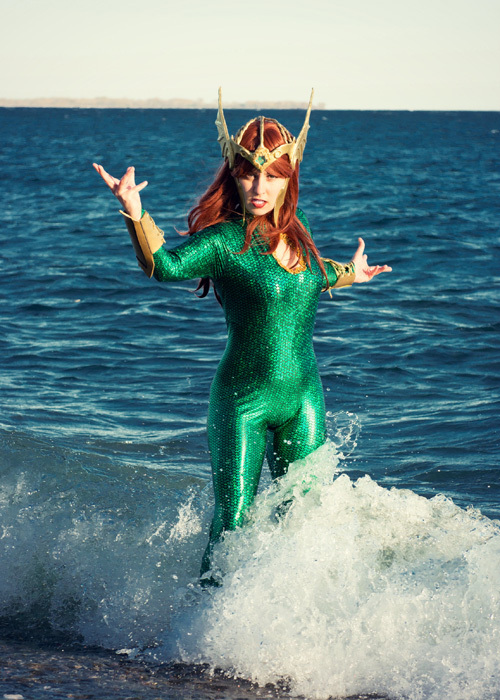 I hope y'all are as excited for Aquaman as I am, got one more major Mera build to do before the movie comes out! ;)"